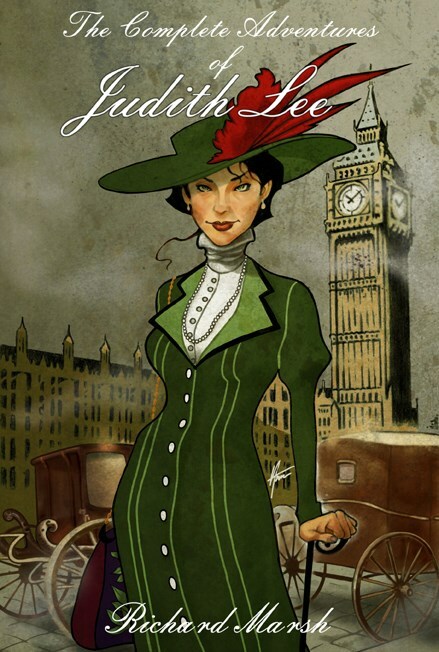 There were several notable women detectives in 19th century popular literature, such as Baroness Orczy's Lady Molly and George R. Sims' Dorcas Dene, but Richard Marsh's Judith Lee is unique and amongst the best. Her stories are forgotten classics of mystery fiction. Like his illustrious model, Arthur Conan Doyle, Richard Marsh relied on strongly-plotted yarns and a memorable hero: a lip-reading young woman with the busybody nature of a Miss Marple and the jujitsu knowledge of a Sherlock Holmes, facing a variety of dastardly devils, damsels in distress, cads and shady sportsmen. The Judith Lee stories were published to great acclaim in The Strand Magazine starting in 1911 and were first collected in book form in 1912. Their creator, Richard Marsh (1857-1915), was a British author best remembered for his 1897 supernatural thriller The Beetle. He was still writing Judith Lee stories when he passed away, and his widow issued a final collection in 1916. This omnibus volume includes both collections, as well as a never reprinted story from 1916. Was It by Chance Only?